From beginners to experts this web site is designed to be a hub for all composting information. No matter what your interest is, you'll find something here worth your time. Our goal is to be the best resource on the internet for composting information. On our site you will find articles and links covering all topics about composting and organic gardening. If you know of a good link to a composting website that is not listed here please let us know and send us the link. If you have a question about composting please ask it in our forum. We partnered with the Garden of Oz and he agreed to host a composting forum and discussion area on his site so please submit and join http://www.gardenofoz.org/ so everyone can enjoy. 1. Gather all grass clippings and green yard waste but be sure to mix with the "brown" materials like leaves and shredded paper to add carbon. You will need both, but if you only add grass clippings your pile will compact and start to stink. 2. Do not compost meats or pet droppings. Stick with food scraps and yard waste only. 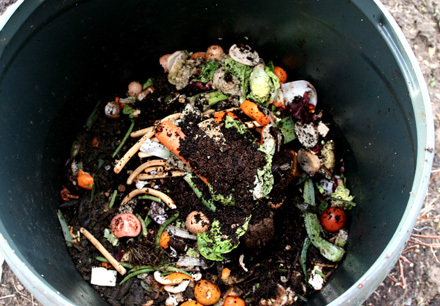 Composting allows decomposed materials to be reused as a nutritious supplement for your garden, lawn, and house plants. A variety of materials may be used for composting, including leaves, grass, weeds, and some kitchen scraps. Autumn settling in and the leaves filling your yard is a perfect time to begin composting. Nantucket Island in Massachussettes is a leader in the Zero Waste movement, which (ideally) seeks to eliminate all waste being shipped to landfills. Recycling, reusing, and composting are just a few of the methods used to achieve that goal. Here is an informative article from the New York Times on how Nantucket has led the way in Zero Waste. Photo is credited to Nathaniel Brooks for the New York Times. What worms eat depends in part on where they live. 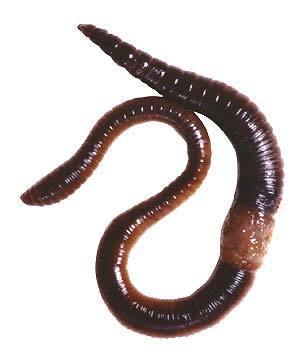 Worms can live closer to the surface or much deeper underground. On the surface, worms eat a variety of organic materials, such as dead grass and leaves that have fallen from the trees. There are microscopic organisms that live on these leaves. These organisms provide the worm with a variety of algae, fungi and bacteria that are essential for the worm’s diet. Here are the top 10 ways we know of for making compost in less time and of better quality than ever before. Composting 101 - What Is Compost? As the snow begins to melt, washing away what is left of winter, avid bird watchers everywhere anticipate the arrival of spring and their feathered friends. In fact, bird watching has quickly transformed from a mere hobby into a way of life for millions of Americans. For these bird watchers installing birdhouses in the springtime has become as routine as hanging Christmas lights in December. These days, providing nesting accommodations for birds has become an ongoing effort to give back to nature what it has so bountifully given to us. This growing eco-friendly conscience has spurred on innovative ways to recycle, reuse, and reduce waste that might otherwise end up in the landfill.